Michael Schumacher, the world’s most successful racing driver, announced his retirement after spending years racing and raising millions for charity. The son of a builder from Kerpen, near Cologne, has donated almost £30 million to projects around the world in the past four years alone and, if motor racing fails to hold its allure when he hangs up his helmet at the end of the Formula One season, it is thought that he might plough his considerable wealth into a full-time foundation. Ferrari’s seven-time world champion has worked for the United Nations charity since 1995, and his previous donations have helped build schools and clinics. For instance, Schumacher donated $10 million, which represents about 10 percent of his annual income, to UNICEF to the relief effort following Boxing Day’s devastating tsunami disaster in south Asia. The German’s pledge, announced by agent Willi Weber on a German TV fundraiser for the UN Children’s Fund and German Red Cross, is the biggest so far in the world of sport, and possibly of any individual. 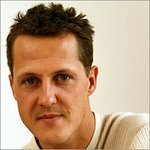 Schumacher has been a substantial donor to charities for the last eight years notably with UNESCO and UNICEF including funding a school in Dakar (Senegal), a clinic in Sarajevo and a centre for street children in Lima, Peru. He has also been involved in work in his role as a UNICEF ambassador.